Sevilla er Flamencoens fødested og en by full av energi og lidenskap, slik dansen også uttrykker. Vi har intervjuet en Sevilla-ekspert om hva Sevilla har å by på. Sevilla er en spennende by vi i skrivende stund dessverre ikke har besøkt selv. Men vi er veldig nysgjerrige på byen og har derfor tatt en prat med Ángeles Torregrosa som jobber i turistkontoret i Sevilla. Hun er i så måte muligens ikke 100% objektiv, men hun har en kjærlighet og kjennskap til byen få andre kan matche. First, what makes Seville unique in your opinion? – Joy. Maybe “Joy” is the word that best sums up the essence of Seville. A city of nearly 3000 years of history which makes visitors fall in love with their inhabitants’ lifestyle, its welcoming and hospitable people who enjoy and share every moment. And its magical streets from where the special spirit of Seville emerges, corners full of history enriched by all the ancient civilizations that once inhabited the city, leaving a trace that Sevillians don’t want to lose. – A legacy that throughout the centuries has shaped the cultural, monumental and artistic heritage that today we can admire in its streets, its museums, its festivals and its gastronomy. – The weather is one of the most valued attractiveness of the city with around 300 sunny annual days, an extension of the warmth of its people that makes it possible to witness the passionate daily life of Seville every day in every street. Give us three things a first-time visitor must see & do in Seville? The Cathedral is the largest Gothic temple in the world and the third largest Christian temple, after St. Peter’s of the Vatican and St. Paul’s in London. 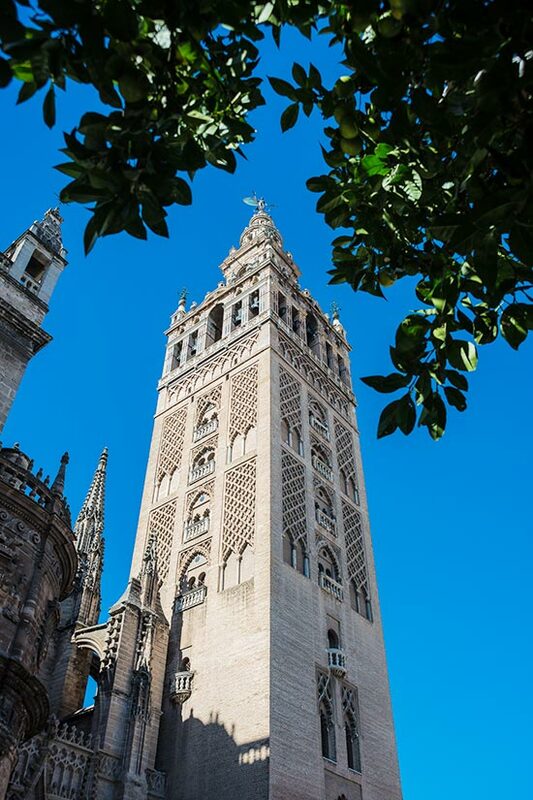 The Giralda, 100 meters in height, is the minaret of the old Almohad mosque and a symbol of the city. 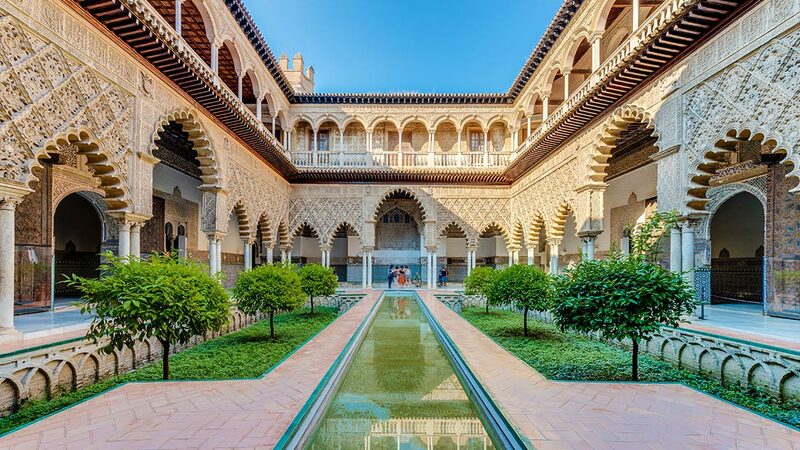 The Real Alcazar is the oldest royal palace in Europe. It is a group of palaces built in different historical stages, dating back to the 10th century. The Archive of the Indies is one of the most important historical archives in the country, with some 43,000 records relating to the discovery and colonization of America. – Seville is the birthplace and capital of Flamenco, since it emerged in some of its neighborhoods and has seen the birth of numerous world-renowned artists, such as the district of Triana or Alameda de Hércules. – Seville’s gastronomy is one of its greatest attractions. 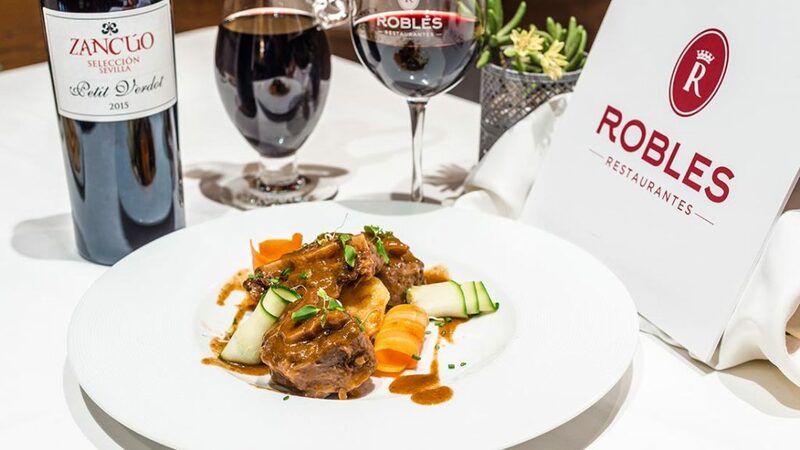 With a lot of richness and variety, in Seville’s establishments, you can taste the recipes of yesteryear that have been passed down from generation to generation; but you will also be able to try new and innovative dishes. Seville is truly a first-class gastronomic destination. In Seville, we can find excellent restaurants of all specialties, both national and international, as well as a Michelin star restaurant. 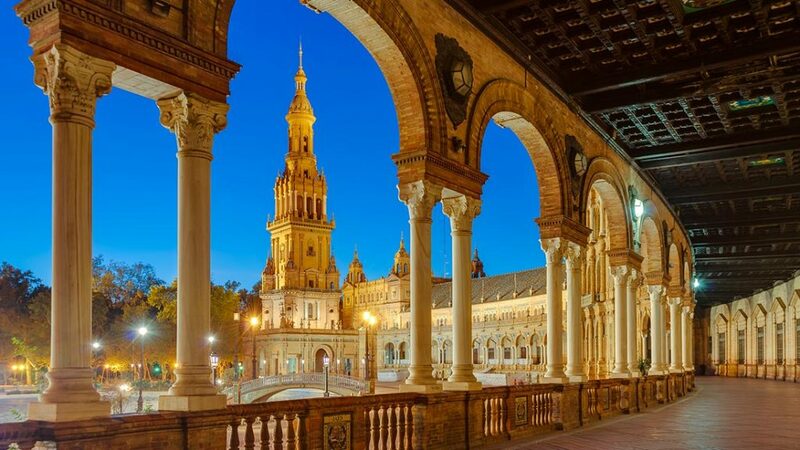 When is the best time to visit Seville? We’ve heard that it can get quite hot in the summer? – The best time of the year to visit Seville is ALWAYS. It is always a good time to visit our beautiful city because the climate is another attraction of the city. Its average annual temperature is between 18° and 20° C, with many hours of sunshine throughout the year (around 3,000 hours). This lets Seville enjoy life in the streets and do activities outdoors almost year round. – During the summer, temperatures may rise above 40° during the day, so the rhythm of the city changes. It’s now time to get up early in the morning to enjoy the city’s monumental heritage; enjoy your hotel’s swimming pool during the hottest hours of the day and, after a pleasant siesta, come back to live as locals do to enjoy Seville’s amazing nightlife! – There is a great moment from 8 or 9 in the evening, when the sun is already going down and most of the days a fresh breeze begins to blow, which is a breath of fresh air inviting us to go out on the street. It’s time to enjoy everything the city has to offer, from concerts in the gardens of the beautiful Real Alcázar to open air cinemas and theaters. – Summertime nightlife is a wonderful experience in Seville, especially around the river Guadalquivir (Calle Betis), which is a popular hangout for young people since it is full of terraces and bars. It happens to be the time of the year when everything happens outdoors and at night! – Definitely, the best way to get around the city is on foot. The historical area of the city is quite small and the best way to enjoy Sevilla is walking. The city is full of life and beautiful buildings, such as churches, convents, palaces, museums, the city itself is an open-air museum. – Seville is also an ideal city for cycling, thanks to its good weather, and for being fairly flat. Using a bicycle is great both for visiting the city and for daily life. There are numerous private bicycle rental companies, as well as the public rental service, Sevici, which has 2,500 bicycles spread over 250 parking areas. We also read that Seville got a great Tapas scene. Could you recommend some good restaurants? – Sevillian gastronomy finds its true identity in “tapas”. Tapas consist of small portions of food served as an accompaniment to a drink. The origin of this custom dates back to the thirteenth century, during the reign of Alfonso X the Wise, who established that in the taverns and inns of Castile, along with a glass of wine, people were to be offered a bite to eat. Thus, alcohol intake did not cause physical discomfort. – Thanks to Seville’s pleasant climate, it is very typical to enjoy good food outdoors on the terraces and tables of the bars and restaurants. But in addition to sampling its gastronomy, in Seville, you can enjoy other experiences to help you discover the city on a deeper level: take cooking classes, gastronomic tours or visit traditional food markets. 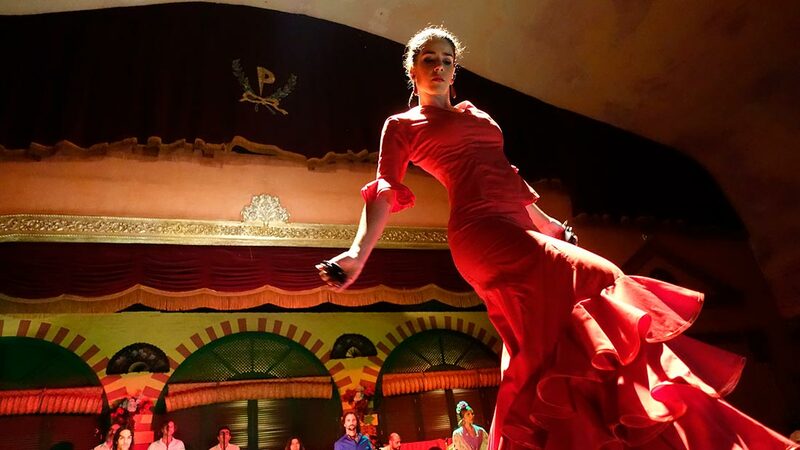 Where should one go to experience authentic flamenco? 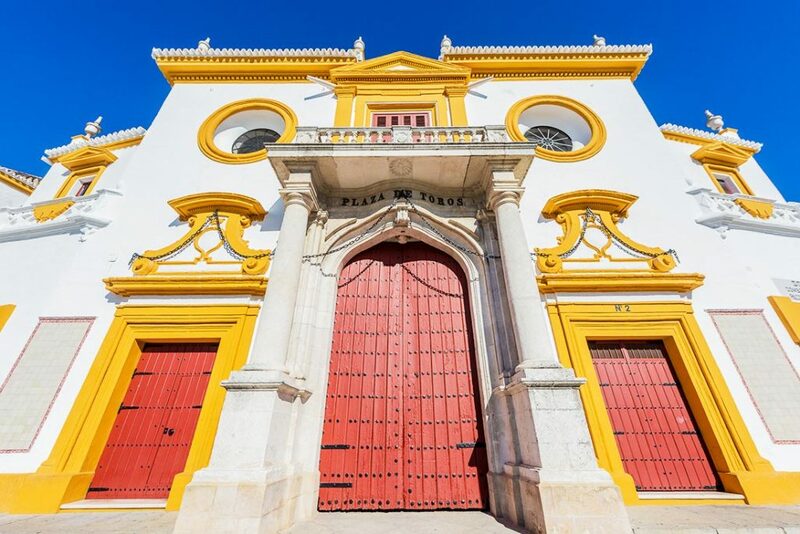 – In Seville, tourists will enjoy this art is all its splendour in the well-known “tablaos”, the neighbourhood stages and in a good number of establishments where people spontaneously dance and sing. Among the annual festivals dedicated to this art is the prestigious Flamenco Biennial, which is celebrated on even years and lasts for almost a month. It is attended by the greatest Flamenco singers, dancers and guitar players. – The Flamenco Biennial has become the premiere showcase for presenting Flamenco to the world. This year is the 20th edition and will be held from September 6th to 30th. More information here. 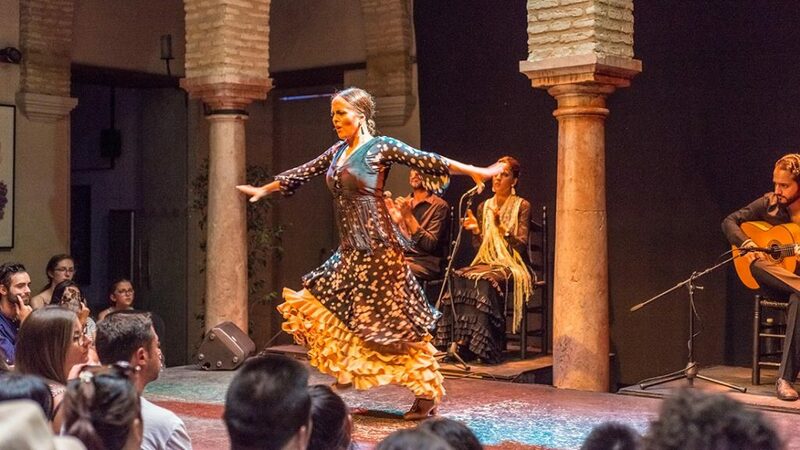 – To learn about Flamenco’s origins, history and evolution, there is nothing better than visiting the Flamenco Dance Museum, where you can also enjoy a good show and attend classes. Are there any good vegan/vegetarian restaurants? – In fact, there are not many vegan/vegetarian restaurants in the city but there are always vegan/vegetarian choices in the menus. 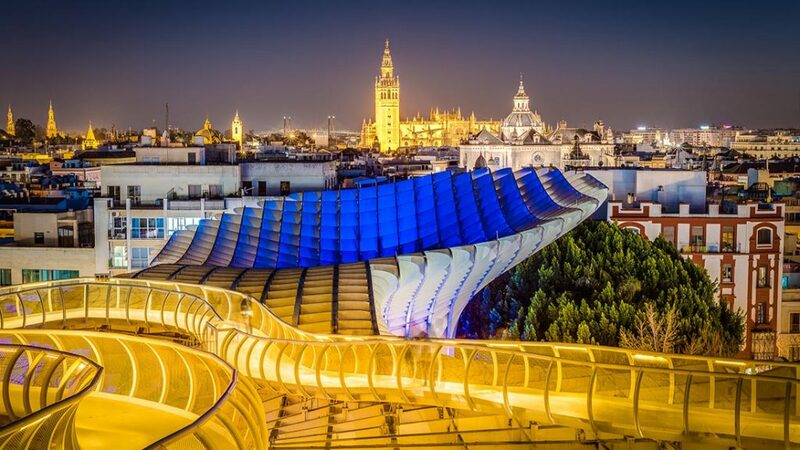 What about the nightlife in Seville? – At nighttime, Seville has many different activities to choose from. Nightlife areas are classified depending on the season of the year. Seville offers a wide variety of night spots, ranging from bars with Sevilian music, traditional music, pubs, discotheques, life music, beer and/or wine bars, Irish pubs and salsa dancing. – In Seville’s city center there is always plenty of nightlife available, there are different areas to choose from: Arenal, Santa Cruz; with its typical wine bars, Alfalfa, the Plaza del Salvador; an area that attracts large crowds, and the Alameda which offers a more alternative environment. The neighborhood of Triana is a quarter with a lot of character, you will find here flamenco bars as well as discotheques. Also the Los Remedios and the Nervión district provides a wide range of pubs and discos for people of all ages; another wonderful night spot. What has the city to offer for the culturally interested tourist? 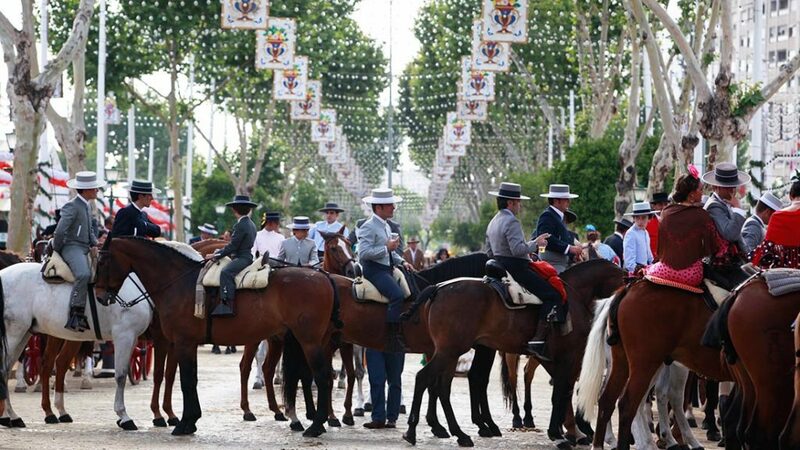 Here is a monthly guide for festivals and events in Seville. 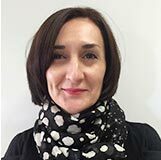 What has the city to offer for families with small children? – There’s an endless number of places to visit and things to do. We can enjoy a visit to the Museum of Fine Arts, take a kayak down our historic Guadalquivir river, have fun at the large attractions of “Isla Magica”, submerge ourselves in the world of pirates in the “Navigation Pavilion”, enjoy watching an entertaining children’s play. These are just some of the many attractions Seville offers families who visit with children. No matter the weather, there is always something to do. Isla Magica and Agua Magica: Have an incredible experience at Isla Magica, Seville’s theme park set in the sixteenth century. It has seven themed areas: Door to America, the Pirates’ Lair, the Amazon, the Fountain of Youth, El Dorado, and Agua Magica. Aquarium: Seville’s aquarium has some of the best biodiversity in Europe, with over 7,000 specimens of about 400 different aquatic species in 35 exhibition tanks. It recreates the Magellan’s voyage around the world in 1519. Casa de la Ciencia: The “House of Science” museum is an open space for enjoying science, educational and cultural leisure for the public. It also has a planetarium to bring the fantastic world of the celestial bodies to all ages. Navigation pavilion: Pirates, games, ships and a lookout tower, dedicated to the art of navigation. It is a modern interactive space for the youngest to enjoy. Children can hear, see, touch and interact with elements from the world of navigation. 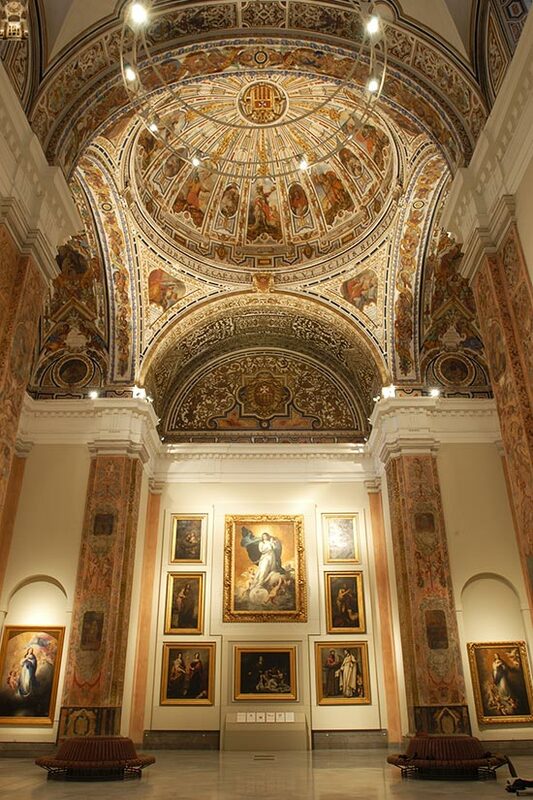 Museum of Fine Arts: The Museum of Fine Arts has a special program for families, so that adults and children can participate together in activities to help them learn about the exhibition works. – In addition, Seville has a considerable number of parks where you can enjoy bicycle rides and their numerous playgrounds. Barcelona is one of the most popular cities to visit for Norwegians. Give us 3 reasons why we should try Seville instead. – What do you expect from a destination? I mean, Barcelona is a great city, one of the best in Spain, but in Seville you will find all topics: gastronomy, joy, fantastic weather all year round, always a smile when you ask anyone (even when they don ́t speak your language, they will do their best to understand each other). What about Flamenco? Flamenco is number one experience in Barcelona, but Seville is the birth place of Flamenco. Price: Seville is 30% cheaper than Barcelona in accommodation and gastronomy, 10 % cheaper than Madrid, according to Trivago website. Best value for money in Spain. Finally: Have you ever been to Norway? – I haven’t been to Norway yet, but I will and very soon! !